HAPPY HALF WAY POINT TO ME!!!!! Yay for finally being at 20 weeks! this is so exciting and HUGE for me. 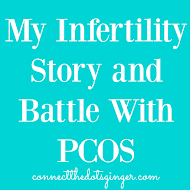 With 3 miscarriages under my belt, making it half way is such a huge sigh of relief. I am feeling Elyse kick so much now. Everyday, multiple times a day and often I ask Matt if he can feel her kicking. Not yet for him. We even did the remote control test. (Where you lay on your back and put a long remote controller on your belly and it should move when she does.) Well it didn't work. Not yet. I give it another 2 weeks before Matt and the kiddos can feel her moving. Things, pregnancy wise have been going pretty straight forward. 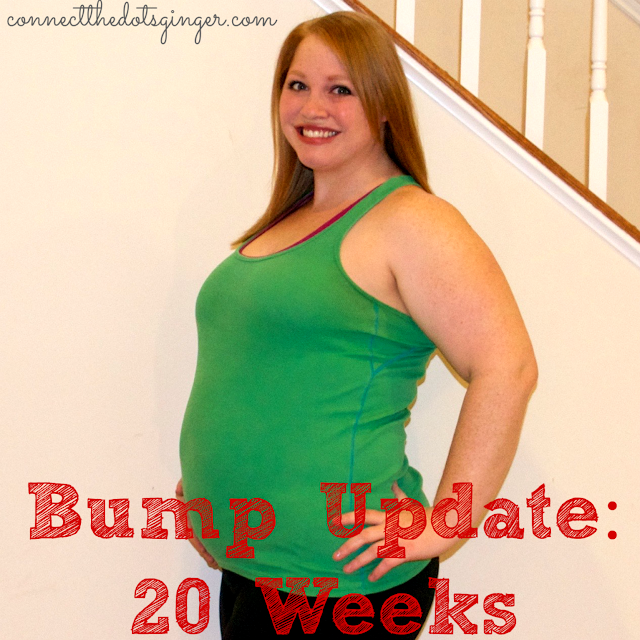 I have the normal round ligament pain, but a little more since I pulled it in my last pregnancy with Collin. 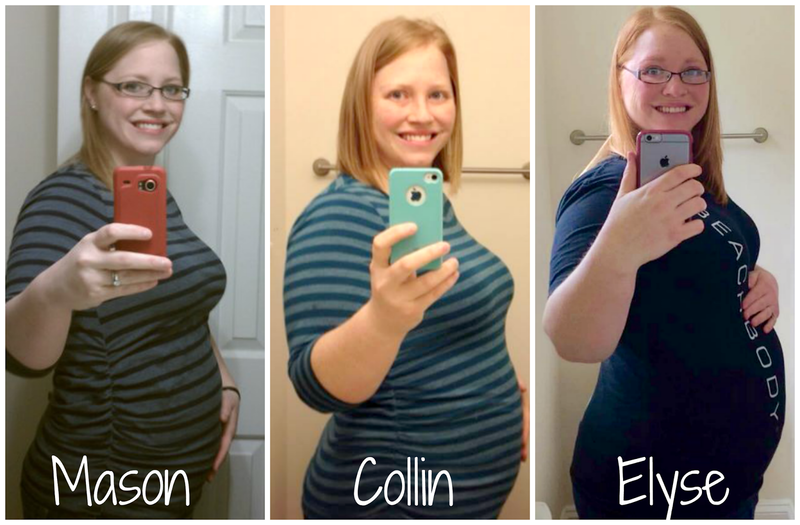 I have to be careful when I move so that I I am having Braxton Hicks Contractions already. Not regular or anything but maybe one every other day. Total Weight Gain: 7 pounds total weighing in at 244.4 pounds. Symptoms: Feeling great overall. I had a bad migraine on Tuesday so that wasn't fun, but it went away after about a day. I do have some shoulder pain from sleeping on my right side. 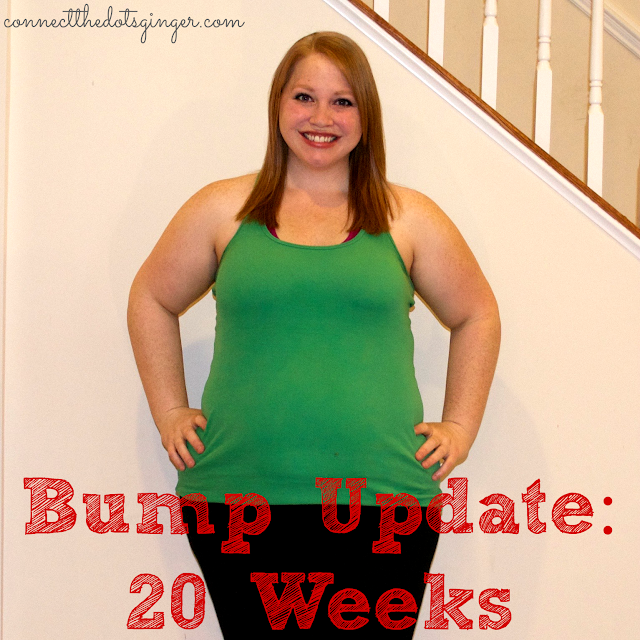 Maternity Clothes: Yes, bottoms need to wear maternity or stretchy pants. Tops still good to go on regular shirts, but quickly starting to get too big! Sleep: I am only waking up once a night to go to the bathroom. But started having some crazy weird dreams! Having some hip and shoulder pain from sleeping on my side. I just hate it. So I am flipping over from one side to the other a lot. Cravings: Nothing really this week. Maybe veggies and Shakeology. I have been really good about getting in my Shakeology every day! Excited About: HALF WAY TO MEETING OUR LITTLE GIRL! And feeling her kick so much more than before! That has been fun. Pretty soon Matt and the boys will be able to feel her kick from the outside. 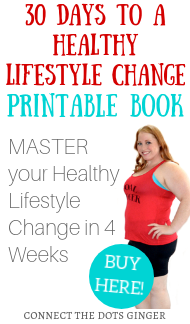 Workouts: Got in my workouts 5 days a this past week, which is awesome! Still getting lots of massages from Matt for that. 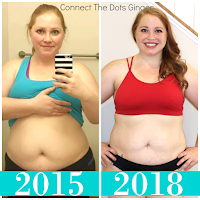 I have been doing 21 Day Fix yoga & pilates specifically, Cize, Diary Of A Fit Mommy's Fit For Two 2nd Trimester workouts and the Beachbody On Demand Active Maternity 2nd Trimester workouts. 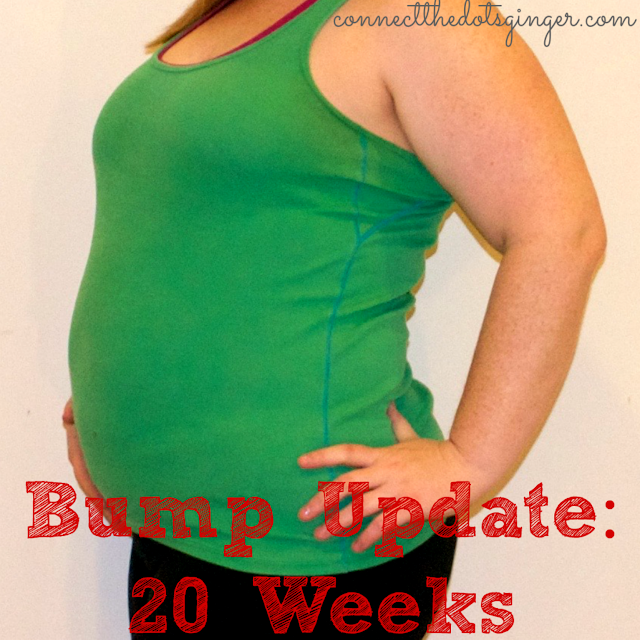 Did you see my post about how my belly is different now compared to my other 2 pregnancies? Be sure to CHECK IT OUT!